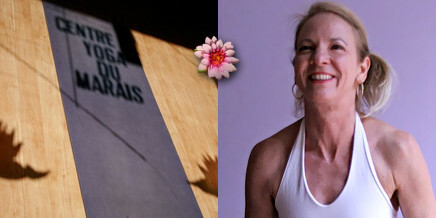 Experienced 500-hour registered yoga teacher, Michelle has been practicing yoga since 1993. She received her initial training in New York at Integral Yoga founded by Sri Swami Satchidananda. She has received several trainings over the years and is honored to have received the wisdom from Integral Yoga, from TKV Desikichar, Sri Dharma Mittra, Peter Sterios and many other teachers in beautiful locations around the world. Michelle is a former dancer and student/instructor of anatomy and kinesiology. She is also a student of vipassana meditation since 2004. She founded the Centre de Yoga du Marais in 2001 and has registered the Centre with Yoga Alliance as an official training school.